Itty bitty Italian indie developer, Italo Games, has announced their very first title, Milanoir, will release this month for PC, PlayStation 4, Xbox One, and Nintendo Switch. This is the very first time Italo has announced that the game would be available on the PS4 and Xbox One. They’ve called Milanoir their own personal “bloody action homage to the masterpiece Italian crime movies of the 1970s.” We may think of Godfather, but the Italo devs were inspired by the non-Hollywood Italian classics, such as Caliber 9, Almost Human, and The Italian Connection. 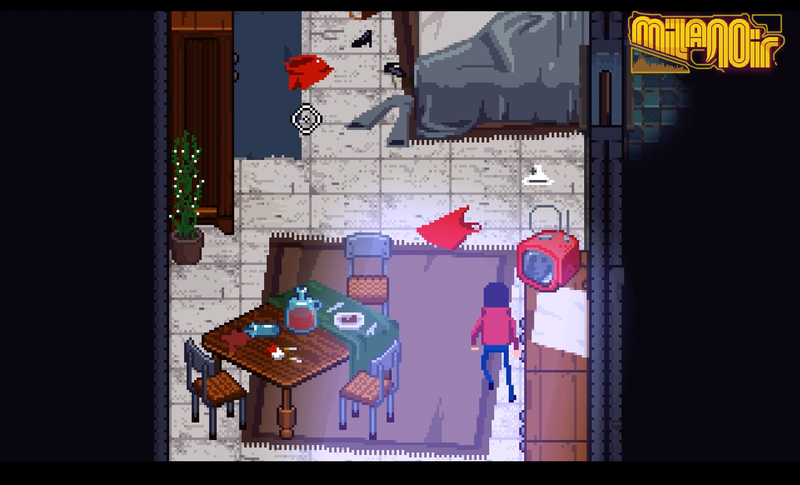 Milanoir is a story of greed, betrayal and revenge drawn to life with stylish pixel art graphics and a funky ‘70s soundtrack. Sneak, choke and shoot through the violent criminal underbelly of Milan on the hunt for the man who framed you, surviving breathtaking vehicle chases and gunfights while taking out anyone who stands in your way. Check out the trailer above to see the 16-bit, retro art-style action. I hope they keep the oral language in Italian with different language subtitles. There’s just something about that Italian mobster voice that brings Milanoir to life. Milanoir will release on PC, PlayStation 4, Xbox One, and Nintendo Switch on May 31, 2018. Be sure to dust off your fedora and dig out your aviators for the occasion.